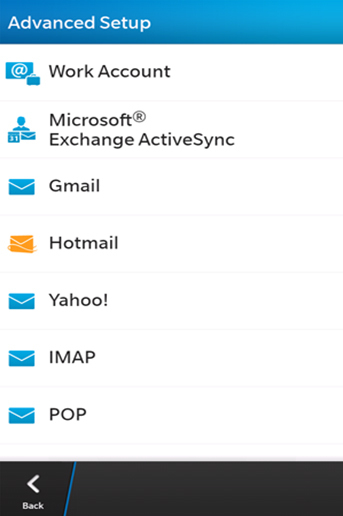 If your company's email service is hosted by Excell IT, you can follow these instructions to get your Exchange email account set up on your BlackBerry 10 device. If you are unsure of any account information, please contact the Support Team at (905) 673-9692 or support@remote-tech.com. 1. Select Settings from the main menu. 2. 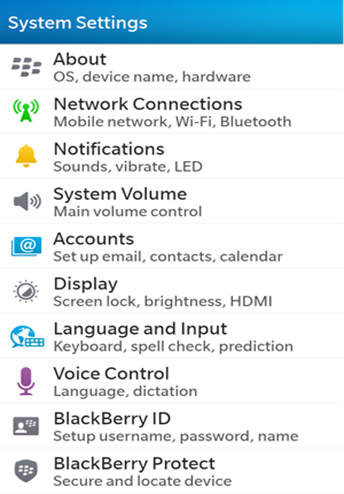 Select Accounts from the system settings menu. 3. Select Advanced at the bottom of the Add Account screen. 4. 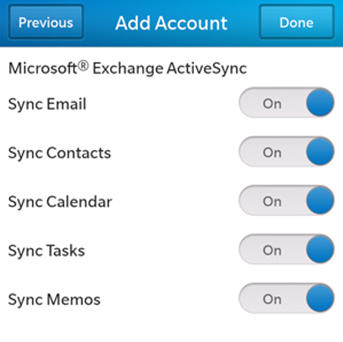 On the Advanced Setup screen, select Microsoft Exchange ActiveSync. Enter anything in the Description field. 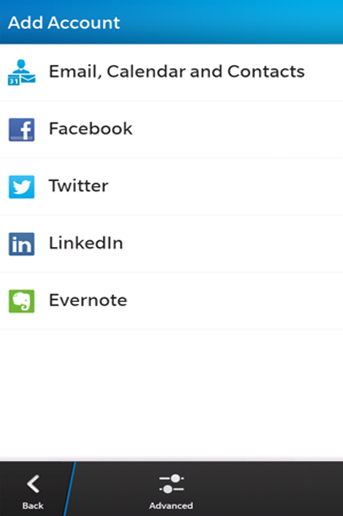 This is what the account will be referenced as in your phone. Enter EXCELLNET in the Domain field. Enter your mail server account's username in the Username field. Enter hosted.excellit.net in the Server Address field. The Port should be 443. You can leave the rest of these settings as their default values. 6. 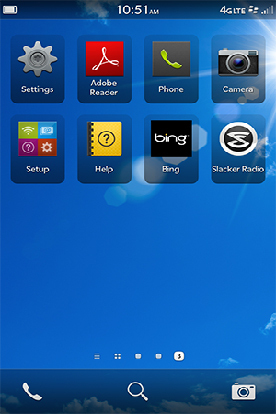 Ensure that everything you want to sync is set to On. If you do not want to sync something, toggle the slider to Off, then select Done to complete the setup.